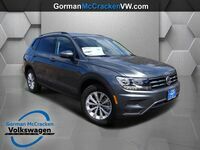 The compact 2018 Volkswagen Tiguan Limited offers drivers the right amount of space for any adventure. The sporty exterior of this compact SUV paired with the feature-filled interior makes this the perfect fit for any active lifestyle. 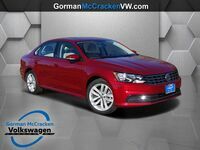 Available in two trims – Limited and Limited with 4MOTION® – this Volkswagen offers drivers a full suite of features no matter which model they choose. 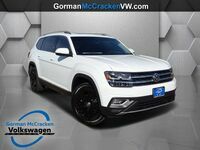 The 2018 VW Tiguan Limited can be a perfect reflection of the driver’s personality with its five exterior color options - Pure White, Deep Black Pearl, Pepper Gray Metallic, Pacific Blue Metallic, and Reflex Silver Metallic. 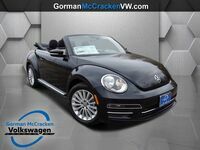 This Volkswagen wears a budget-friendly starting price tag of $22,250. With two feature-filled trims and a sporty exterior, there’s no wrong choice when it comes to choosing the Tiguan Limited. 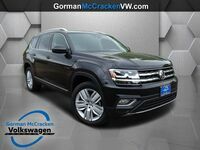 Continue reading to learn more about the 2018 Volkswagen Tiguan Limited and be sure to click the link below to view our full lineup of Volkswagen models. 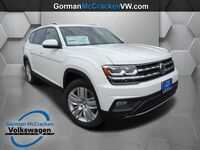 This adventure-ready compact SUV features a 2.0-liter TSI® engine paired with a 6-speed automatic transmission with Tiptronic® and Sport mode. This combination generates an adrenaline-pumping 200 horsepower at 5,100 rpm and 207 pounds-foot of torque. Drivers looking to have more control over the way their Tiguan Limited shifts gears can shift their transmission into Tiptronic® mode to give them a manual-shift-feel behind the wheel. 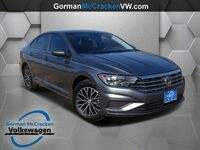 Additionally, drivers can opt for Sport mode to give them a more thrilling and adrenaline-pumping drive as their Volkswagen shifts to higher gears later than usual and revs their engine to a higher rpm. 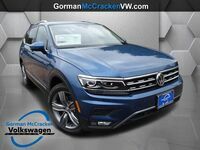 The 2018 Volkswagen Tiguan Limited offers seating for up to five passengers with a 40/20/40-split-capable rear seat. There is 23.8 cubic feet of cargo space in the back of the Tiguan Limited, giving drivers room for any equipment they may need for their next adventure. Looking to add more space? 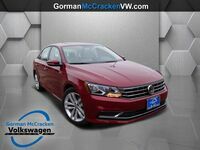 Drivers can fold down the rear seat in this Volkswagen to expand the cargo area to a spacious 56.1 cubic feet.